Check out these great Research leaflets from FFHS. Do you have a website? Why not have it linked to us? 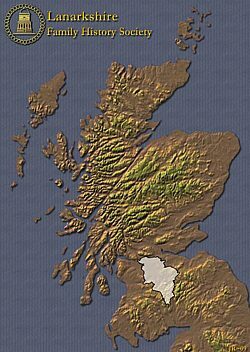 We're here to help people research their family history primarily in Lanarkshire's parishes, in addition we also hold information on other areas of Scotland. Find out who will be speaking at the monthly GLO Centre Meetings in the News and Events page. Use this site to further your Lanarkshire research. Check out our Publications List; see the society's own publications including Monumental Inscriptions, Death Records, and various CDs covering all of Lanarkshire's Parishes. We also stock many additional Books, CDs, Alan Godfrey Maps, Stenlake Books and Family Tree Charts. We can carry out some research for you, please visit our Research page. If you wish to join us you can see the many benefits on the Membership page. The Society is a registered Scottish Charity No SC028690. Use of the website is subject to our Terms and Conditions.